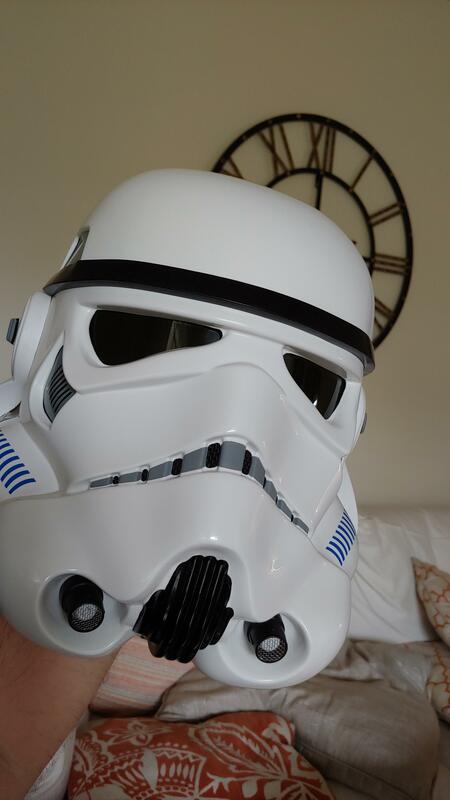 I had the long wait for my Anovos armor. When it arrived it was the day before our family moved from Orange Park, FL (Jacksonville area) to Columbia, MS (30 minutes west of Hattiesburg). That was July 3rd 2017. Fast forward to today and I am finally settled in and able to begin my first ever build. To say I'm excited, nervous, and all the rest is an understatement. I have been acquiring items, tools, and a workbench. Plus I have recently ordered additional items to further assist and hopefully improve my build (I'll be listing these soon). The aim is building to Centurion from the start. The struggle will be shims for the abs (6' 240lbs makes for some adjustments required) and my limited experience from model car building and miniatures painting. However, with all the encouragement and directions (not to mention awesome supplies/products) I've received so far from people like @ukswrath, @justjoseph63, @Darman, @gazmosis, my friends I met in Squad 7 of Florida, and what I know the rest of this community will be able to offer, I believe I'll be able to make it to the goal. So to begin I'm posting the following picture. Awesome. Can't wait to see your build. BTW Gaz was my inspiration and my DO predecessor. You're in good hands here. Ear alignment at the moment is only a suggested "ideal look" and not a must for Centurion. 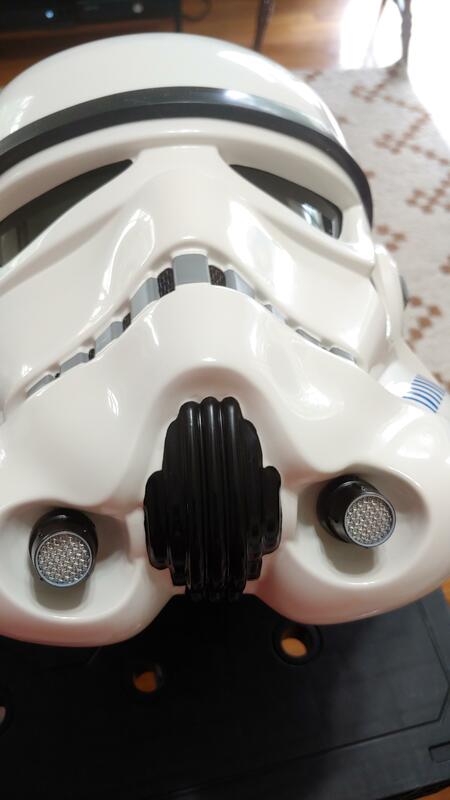 If you did want to adjust these (depending on how Anovos helmets are assembled) normally you remove the ears screws and see if the angle can be adjusted, take not of any gap between the ear and helmet and if any sanding will be required, you will need to either elongate the current screw holes or drill new ones. Tube stripes should be a pencil width from the side of the cheek, this may be changing in upcoming CRL updates so you may need to address those but you could apply for EIB and see if you receive centurion feedback for those . Can't quite make out your hovi tip mesh but the standard Anovos mesh needs to be changed for a more accurate mesh. Also the insides of the hovi tips are white and have a white rim. GREAT to hear that you are aiming for Centurion!! In addition to what has been mentioned, for L3 you will need to change out the lower ear screws. 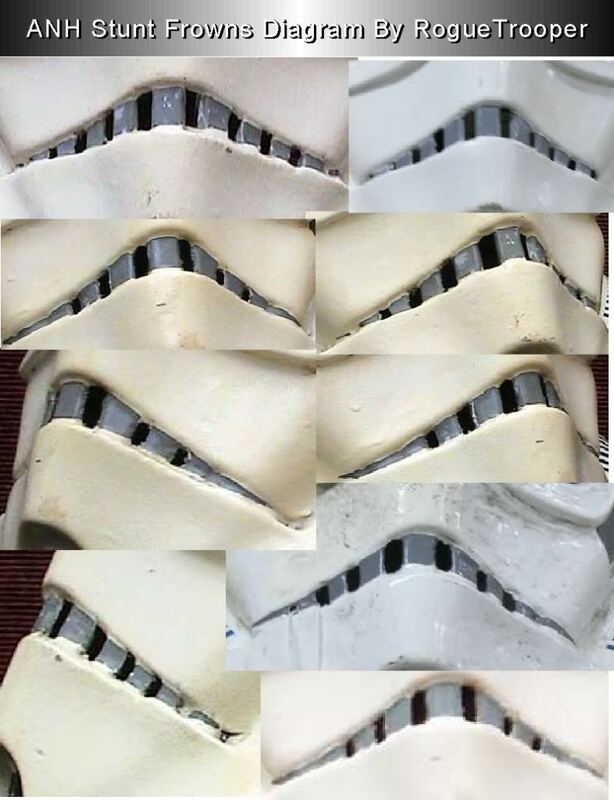 For some strange reason Anovos uses the correct (slotted, flat topped countersunk) type on the top 2 but not the bottoms. As Glen mentioned, the Hovi tip screens in the photo are not too clear, but as seen in the above images the mesh should be of the wide type. I would also highly suggest painting the interior white. ( ). 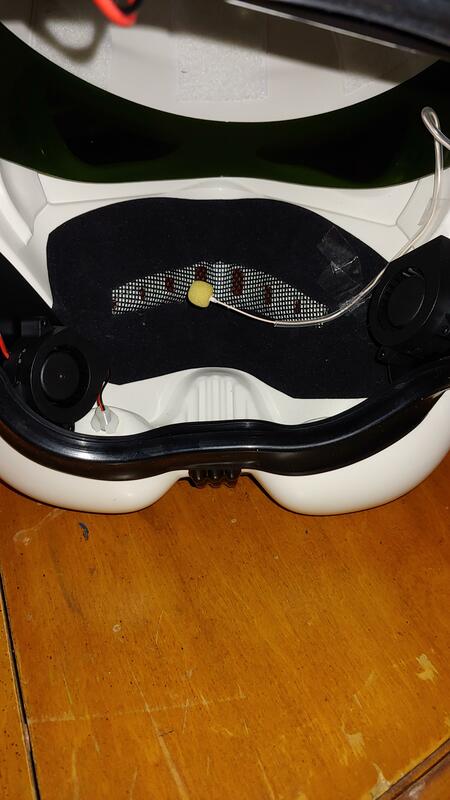 I know you haven't got to this part yet, but the Anovos supplied canvas belts (unless they have changed them) were saggy due to no interior support system, and also came with 4 rivets attaching the holster (Hero style). If it did indeed come this way, for level 3 the belt will need to be replaced, as it will need to be rigid and can not have any extra holes (even if they are patched). ( ). My last suggestion would be to take the Velcro strapping system they supply and toss it. Velcro can (and will) lose it's connective properties over time after repeated use, so I would go with the snap connections. Better yet, use the double snap system. This is what I and many others use, and although it takes a bit of extra time and supplies, you can rest assured that no connections will fail. Ever. If you need more info. on that just PM me. Hi Chirs. Congrats on getting to the build! You already got some feedback on the helmet and other items. Keep in mind that these modifications are much easier than it sounds. Check out the build thread section if not done so already - there are some very detailed Anovos builds in there (see ukswrath's build). If you are feeling stuck - let us know. The information here can seem pretty daunting so don't be afraid to ask any question. Take your time and enjoy the ride. Good luck! Hi Chris, welcome to FISD!! You're totally right about all the support and encouragement to be found here. I recently finished my first build and it was all thanks to these fine folks. You're in good hands! Don't go spending time to change this yet, though! Last I heard, this is not currently an L3 requirement, but may soon be added to the CRL. Nothing needs to be changed now, but you (and I) might need to redo those tube stripes down the road on our way to L3. Just something to keep in mind! Have a great time with your build. Looking forward to following along! 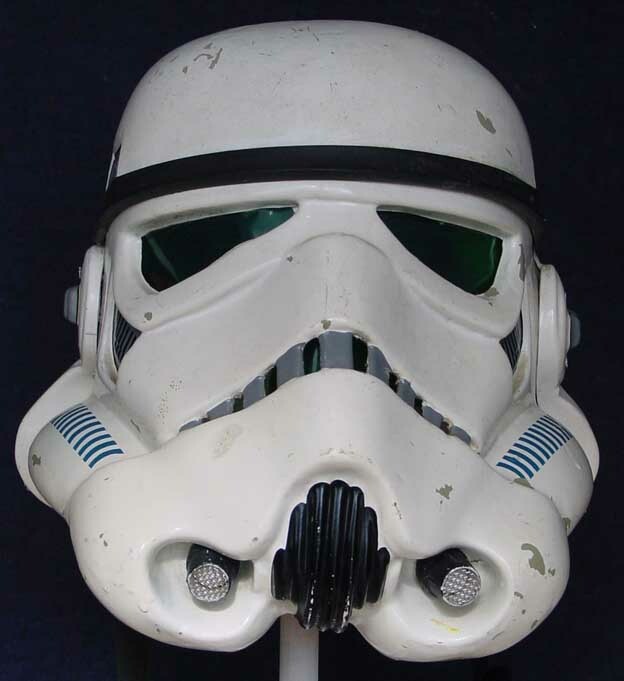 Some screen used troopers looked a bit like this, to be honest. However, as the CRL is based around an idealised look so steers away from this type of look. 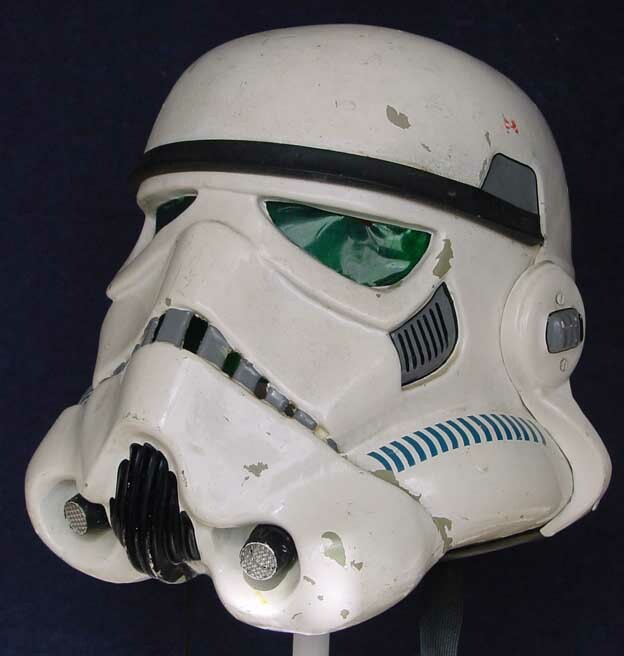 Some screen used troopers looked a lot bit this, to be honest. However, as the CRL is based around an idealised look so steers away from this type of look. Would you happen to know the size of those slotted screws? If not no biggie, I'll just take one of the upper ear screws with me to the store. I do intend on ordering a belt from Kittle. BUt need to complete the trimming and then measure. For the strapping I was going with the brackets from @Mr. No Stripes I was originally considering the snaps. I suppose if these should fail me then I'll need to go to the snaps. Thank you for all of this information. Very helpful! I'm about to upload some new photos of the recent activity I've been up to. In it will be a few more bucket pics. I'll hold on the tube stripes for now. Thank you everyone! Since the last post I've accomplished tow projects. First is the Husky Storage bin. It was time to move the kit from the BBB and into its new home. Here is the before and after pictures. Yuu can barely see the top of one of cat's head next to the bin on the far right. Open box seems to be an invite to them! Found this foam at Wal-Mart. Depending on how much space is available once the kit is trimmed, I am considering adding another 1/2 inch of foam on the bottom. The fabric came from Jo-Anns Fabric (3 1/2 yards long for those like me who are fabric shopping challenged). After measuring the interior we (my daughter is my official build-assistant) cut the foam to fit. In hindsight, cutting foam with a retractable razor on your dining room table is not smart. After a small cut line on the table, all work shifted to my portable workbench! We then used the foam to cut the fabric to size. 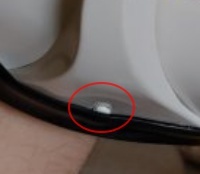 The Fabric was attached to the foam using spray adhesive (see below picture). This was bought at Wal-Mart. Cost less there than the fabric store. It starts drying quickly so had to spray over the foam surface and then we placed the fabric on the foam holding it tight and then smoothing out wrinkles. You definitely need to do this outside as the spray makes everything it touches tacky, plus has a somewhat strong odor. Attached velcro to the back of the foam on all four corners. The top, and front/back sides also have velcro in the middle along the top edge and bottom edge due to the overall length. And with the tool box (soft goods holder) inserted. All in all rather happy with how this turned out! My other accomplishment has been the installation of the electronics set-up from @ukswrath. Let me say, if you need anything like this I am quite impressed. Hearing assist, hovi mic speakers, cooling fans bracket. 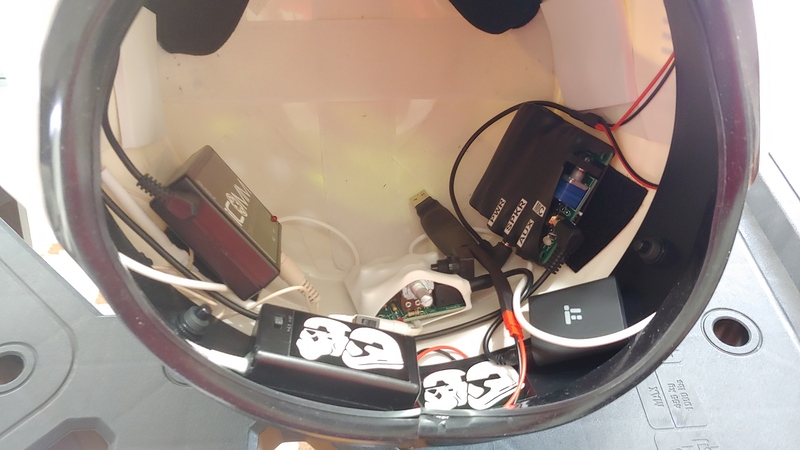 Added a Bluetooth transmitter and Bluetooth earbuds to keep me from being "plugged" into the bucket with traditional earbuds. Here are the hovi mics from the speaker system. The plastic ones simply unscrewed from the bucket. I had to then drill a slightly larger opening for the speaker posts, but was very easy to put in. Aside from the sound ability, I believe these make my hovi tips Centurion rated. The original ones were going to need some interior painting if they remained in place. Interior electronics. I wish I could make them look a bit more organized. Good news is no one really looks inside except when I'm showing it. After playing around trying to fit it to my ear. I remembered that this could be mounted in the bucket. That's what I've done here and I much prefer that set-up. I have a doopy E-11. But I want to take my time on that build as I would love to make it as real and functioning (lights/sound) as possible. The completion kits and sound kits will require some more purchases, but for now that will be my afterwards project. In the meantime I ordered and just received my E-11 from Praetorian Blasters. A bit of nerd out time occured as I walked around the house with it and then watched a show while using it to point to things for my wife and daughter. It's well made and if you didn't know some of the parts look like real metal! This appears to be L3 ready. I am beginning the part that has me the most anxious. Trimming! I have my guide printed (@ukswrath) and am going to trim it all out before beginning the sizing. Once trimmed I'll post pictures of the pieces for feedback and directions. I know there are parts where there should be no return edge (i.e. the wrist end of the forearms), but if someone is able to list all the parts and which ends of each part, should not have a return edge for the Centurion level, it would be of great assistance! I am beginning the part that has me the most anxious. Trimming! I have my guide printed ([mention=21566]ukswrath[/mention]) and am going to trim it all out before beginning the sizing. Once trimmed I'll post pictures of the pieces for feedback and directions. I know there are parts where there should be no return edge (i.e. the wrist end of the forearms), but if someone is able to list all the parts and which ends of each part, should not have a return edge for the Centurion level, it would be of great assistance!